Earlier this week, a fresh leak from Future & Young Thug with Quavo caught everybody's attention. The track had everybody hoping for an official version to someday surface as well as the potential of an even bigger project on the way. 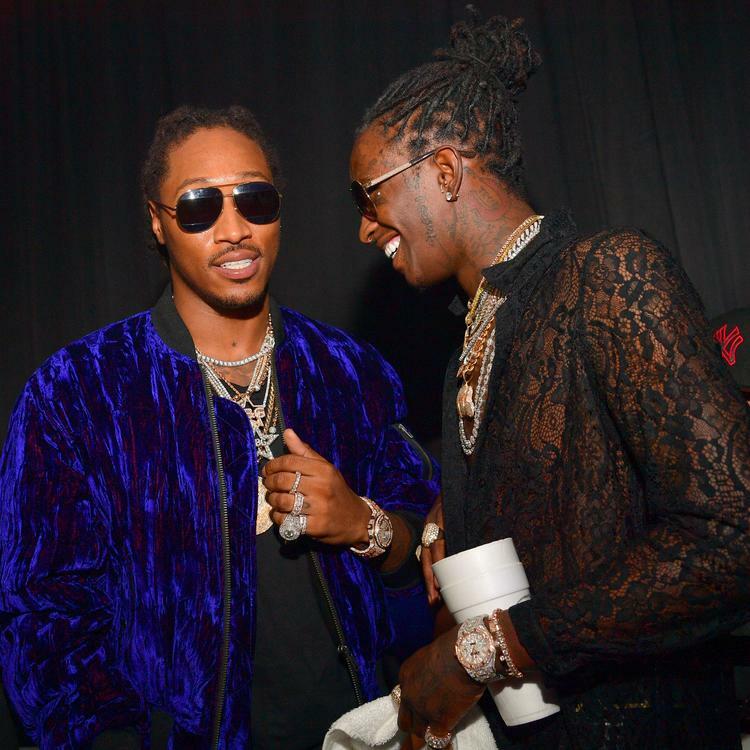 Thug and Fewtch previously collaborated on Super Slimey and the two are notably very good friends, having each other's names tattooed on them. With the possibility of Super Slimey 2 becoming even more favorable through the arrival of the leak, the official audio has just been made exclusive to WSHH and released to all of us. Rhyming over Cardi B's "Drip" beat, featured artist Quavo starts things off with his verse before we head into sections from Future and Thugger. Of course, Young Thug isn't the first person to whisper on a track but he channels the Ying Yang Twins here, going a little softer in the middle of his verse. We can't lie, Thug is the exact person we expected to bring back the whispers. Since the track is now available more freely, it begs the question of if Hendrix and Jeffery plan on teaming up more in the future. Only time will tell but, if we're lucky, Future will be included on Thug's next album Slime Language. Check out the trio's "Upscale" effort and vote for how you feel about it. Ariana Grande Releases New "Sweetner" Song "God Is A Woman"